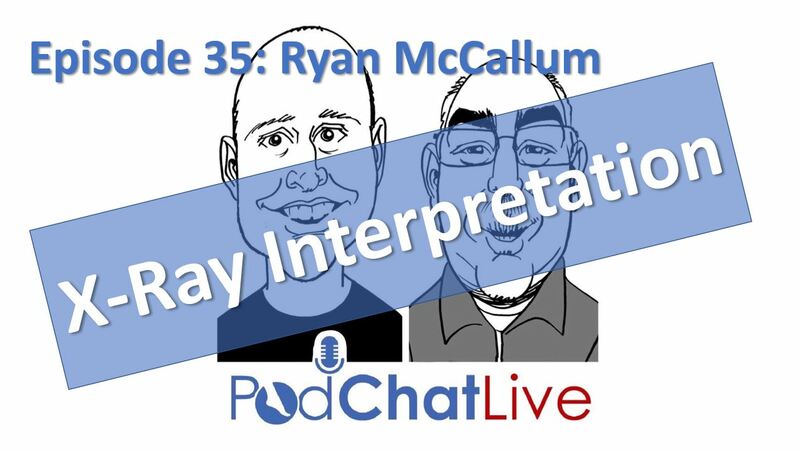 In this episode Consultant Podiatric Surgeon Ryan McCallum joined us to talk all things X-Ray; How do you get started in requesting them from a legal point of view? When is requesting an X-Ray appropriate? What views are commonly requested (and why)? Non-weightbearing or weight-bearing X-Rays? What are the ABCS of X-Ray reporting? Ryan McCallum completed his undergraduate degree in Podiatry from the University of Ulster and subsequently worked within the NHS and private practice in Northern Ireland. He then undertook his post graduate training in Glasgow and Edinburgh prior to moving to London where he commenced his surgical training at West Middlesex University Hospital. Ryan now holds a substantive post as Consultant Podiatric Surgeon at the West Middlesex University Hospital. He also holds a Consultant Podiatric Surgeon post at Homerton University Hospital and divides his NHS duties between the two hospitals. Ryan is active in the teaching and training of junior colleagues and has lectured extensively throughout the UK and Ireland at national conferences and local meetings as well as postgraduate and undergraduate university programmes. Mr McCallum is an elected member of the committee of the Directorate of Podiatric Surgery and is the current co-chair of the Directorates annual conference.